LED Mesh is durable, lightweight, and can make any custom shape! Our LED Media Mesh facade series systems reinvent the large-scale media experience. 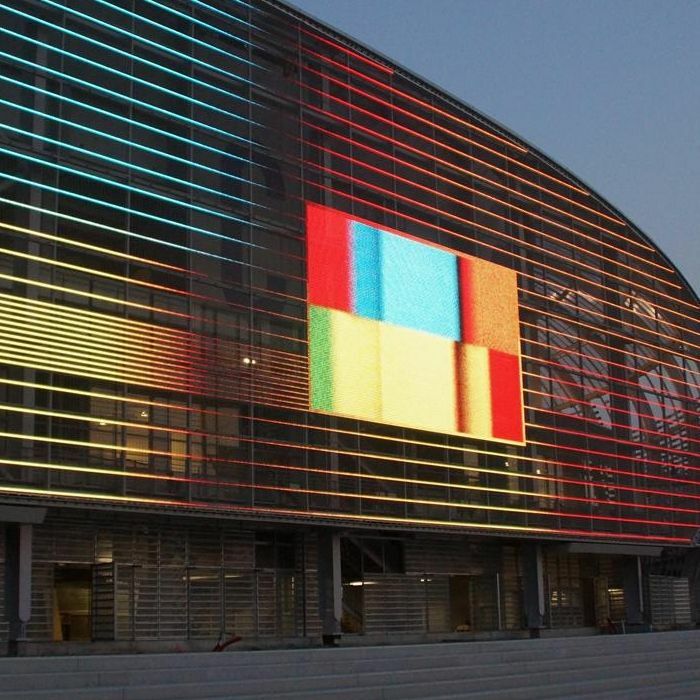 LED Mesh Curtains have become a popular signage solution for outdoor building facade, Ceiling LED, nightclubs, Stage for events concerts and bars because of its lightweight, easy to install features. Led Mesh can be customized into many different sizes and smoothly and perfectly fits into architectural lighting and decorating applications. This option has start from Pitch 6mm outdoor to Pitch 50mm with brightness from 2000 nits to 15000 nits. This variant of LED mesh has the lightweight and flexible ability it allows to bend and wrap around curved and S shape surfaces. The LED Mesh Flex curtain Series is an amazingly light and flexible LED curtain that can be used both indoors and outdoors for both fixed and rental applications. 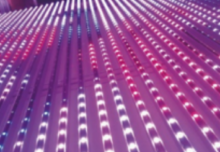 The LED curtain can be rolled, curved in different directions or hung. 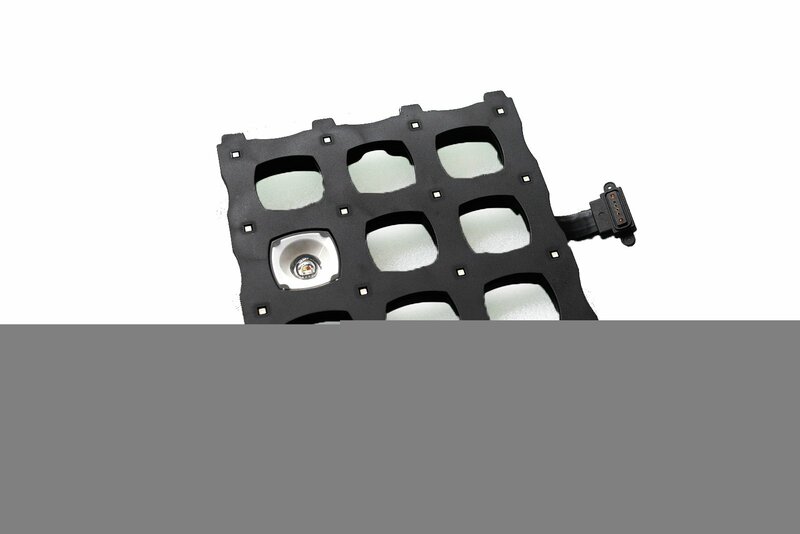 We can supply the display in many different sizes to suit your application. A Mesh is a barrier made of connected strands, fiber, or other flexible/ductile materials. A Mesh is similar to a web or a net in that it has many attached or woven strands. The Mesh principle is the same as knitting which allows any shape, a high shock and weather resistance, transparency and natural ventilation by its holes and spacing. Here we’ll be talking about two kinds of LED Mesh; Classical LED mesh and Metallic LED Mesh curtains. Classical LED Mesh are a display on their own; LED strips are mounted onto plastic strips that are assembled using the same techniques as knitting, which allows an important flexibility and the creation of any shape. Metallic Mesh curtains are also made with the same technic, excepted for the material, and feature a thiner composition. It is metal fibers made of stainless steel that are mounted together with the knitting process. Then, LED strips can be mounted on it, from the back of the module which allow an homogeneous structure without visible wires. On/in buildings, LED Mesh curtain is made out of stainless steel which makes it light, resistant, and cheap. 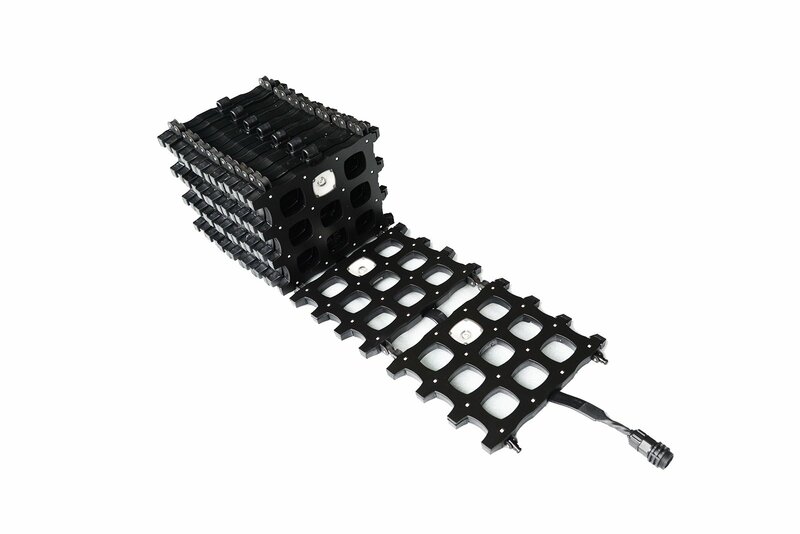 Both classical and curtain Mesh module are first built depending on the customer’s needs, then the LED strips are fixed on it, which allows only the LED light to go trough the panel and makes the LED strips invisible. High brightness along with low energy costs, longevity and low maintenance – these are the qualities offered by the latest LED technology. The continuous adjustment of brightness to the ambient conditions also emphasizes the energy efficiency of this system. Our IP67 protected system is ideal for both indoor and outdoor applications. 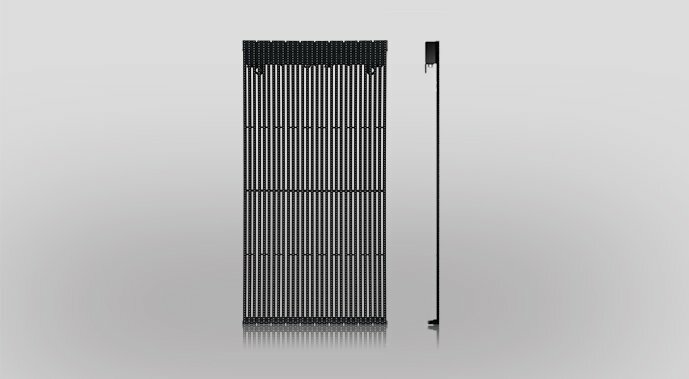 By using high quality materials in combination both LED Mesh and LED Mesh curtain are a system with robust weathering and temperature resistance. Even in extreme temperatures of -30°C to 60°C it ensures trouble-free operation. For LED Mesh curtains, the proven functionality of stainless steel mesh for sun protection as well as the transparency of the mesh façade enriches the application. Architectural mesh is light, durable and transparent, providing an array of benefits for your building. The transparency of architectural mesh allows it to act as a natural ventilation system through the holes of the pattern. Additionally, the openness of the mesh pattern, both LED Mesh and LED Mesh curtain, allows an abundance of natural light and air to flow and improving air quality in the space. 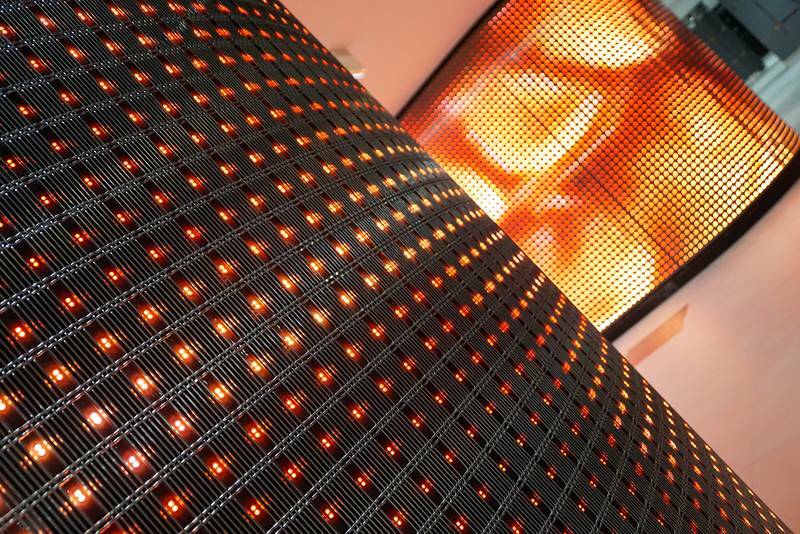 Classical LED Mesh are completely flexible and can adapt to any shape and space. They are made for large surfaces and long viewing distance and can be produced as wide as needed. Also they are easy to maintain, since the clipping system of the knitted structure offers the possibility to undo it in a few seconds. Made from stainless steel, our woven architectural LED Mesh curtain is incredibly strong, rigid and durable, delivering extra protection from any shock. Architectural mesh offers effective sun protection. The horizontal wires of the mesh facade act as a light barrier, helping to maintain a comfortable temperature within your building. 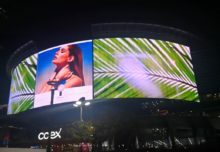 The programming of classical LED Mesh and LED Mesh Curtain can be done using a smartphone, tablet PC or other remote device; the media façade can easily be live controlled from anywhere. 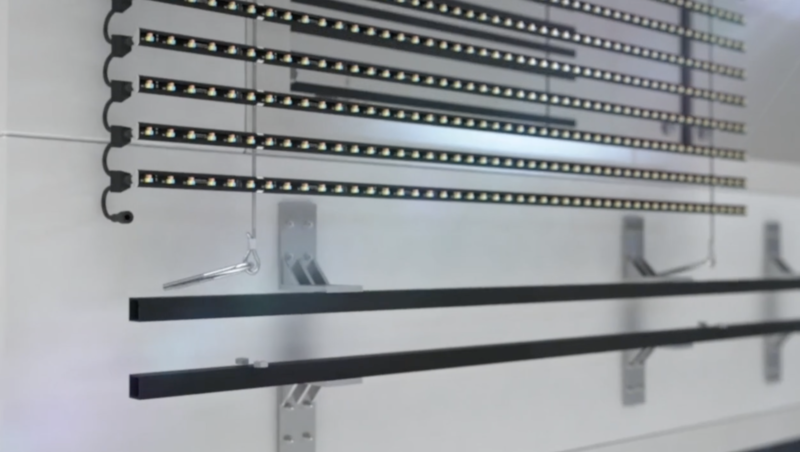 LED Mesh facade has a simple assembly concept. 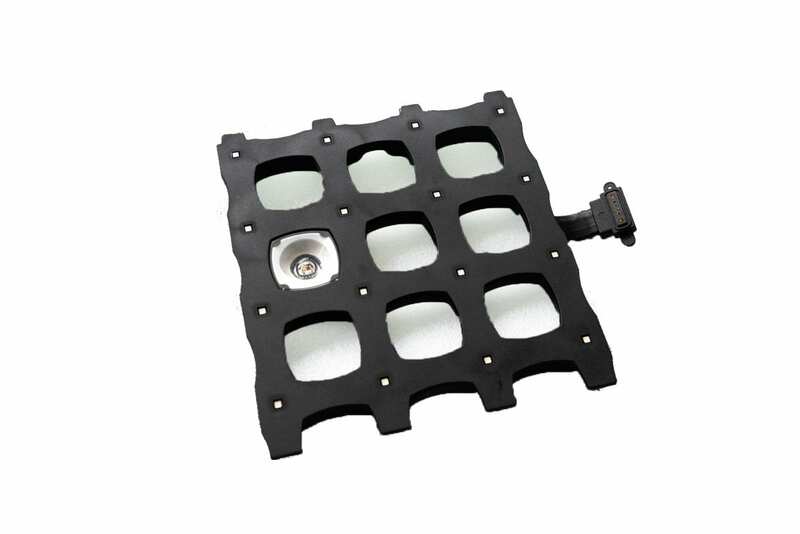 Though our specially designed clip-technology systems, the LED-profiles and the universal connector system are very easy to install. 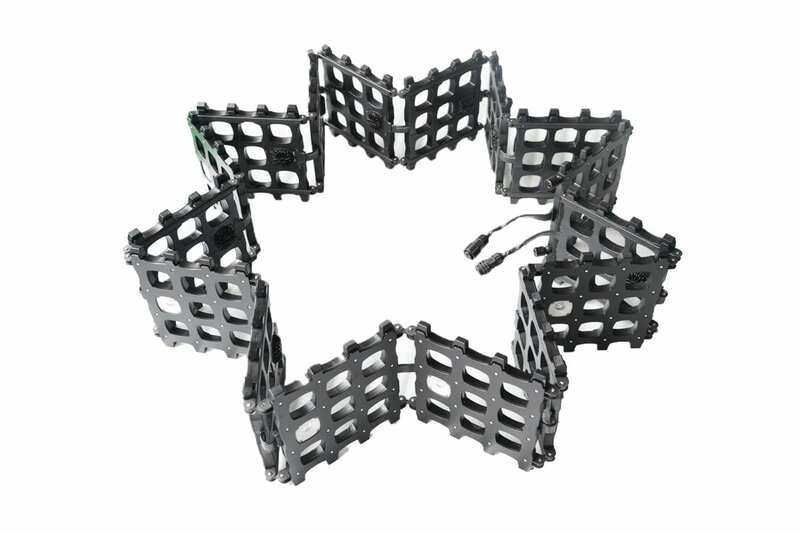 And, if necessary, they can quickly and smoothly be replaced on location by our team or any Mesh trained person. 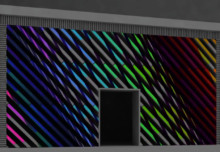 Both the full video-based media façade systems feature an infinite number of colors, a high brightness, resolution and refresh rate for an incredible and creative result on the façade. For both Classical LED Mesh and LED metallic Mesh curtains. To ensure a 24-hour operation anywhere in the world our Classical LED Mesh and metallic LED Mesh curtain façade are available with a maximum brightness > 11000 nit (cd / m²). At dusk or at night the system can continuously be dimmed, automatically or manually. Even though LED Mesh curtains are composed of stainless steel on which are attached LED strips, that make it a massive structure, they have the advantage of having an homogeneous appearance. The LED strips are attached to the reverse side of the wire mesh maintaining the homogenous look of the façade at all times. The Metallic LED Mesh panel is regular. The inconspicuous cabling of each profile is not visible from the outside and with the high transparency of the mesh, the translucent look of the façade is maintained from both inside and outside. The shape and size of the media screen does not have to be the same size as the mesh façade. Since the LED strips are attached to the reverse side of the Mesh wire, they are hidden by it, therefore it becomes invisible. LED Mesh curtain wire are a design piece on their own. 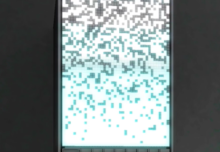 Therefore, even when the LED are off, the Mesh becomes an object of decoration and not a simple screen. At every phase of your project our engineering team will give you comprehensive support. We will guide you safely every step of the way from concept to implementation. Street Co’ analyses the project and spot data, designs the module, creates video content, install the module and offers a two year guarantee on any product.